As per my Ethics guidelines I must state I have not purchased this particular product. At time of writing I am not currently affiliated with or sponsored by Sleeklens. I was recently asked to provide a review and my thoughts on a product by Sleeklens called “Through the Woods” a Lightroom landscape preset workflow. 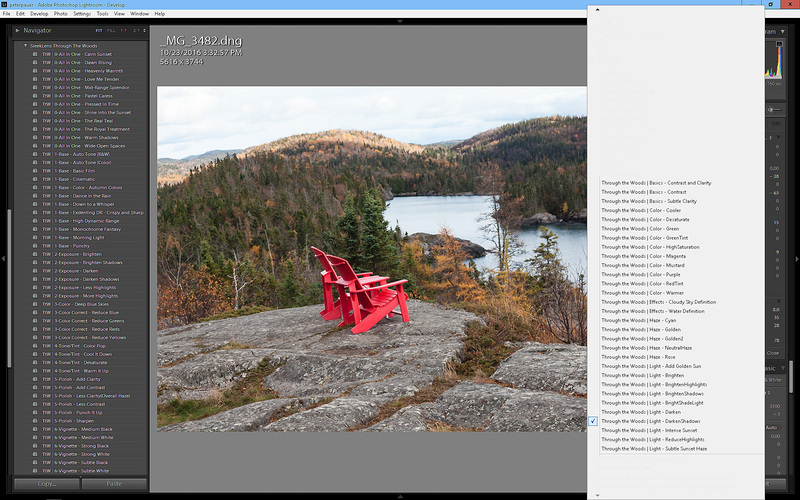 Sleeklens produces presets and action sets for Adobe Lightroom and Photoshop CC. A readme first PDF that contained a link to the installation video and an invitation to join the sleeklens Facebook group for support. A “recipe” list to help get you started. And two folders, one for brushes with 30 brushes in it and one for presets containing 51 presets. Install was mostly painless especially if you follow the included instructions. I in my usual way managed to get it exactly backwards and had to do a bit of uninstalling/reinstalling. To Install presets follow the video linked in the install document. To Install brushes follow the instructions in the install document. Hint: all images in this post can be clicked to open a new window/tab with a larger easier to see image. 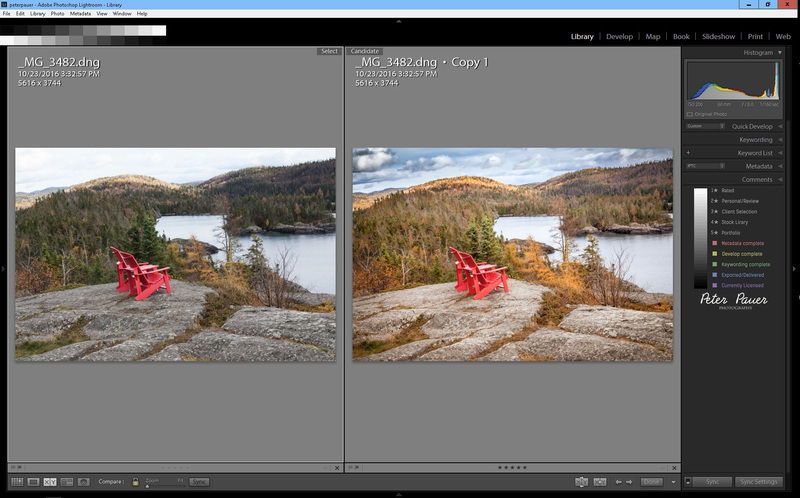 The sample shows one of my annoyances with Adobe Lightroom, while LR presets can be grouped into collapsible sections. LR brushes cannot, you are always scrolling through huge lists to get to the one you want which is invariable at the bottom of the list. To test what the presets and brushes could do I selected one very over exposed image, one very under exposed image and one with an average exposure but mediocre image. 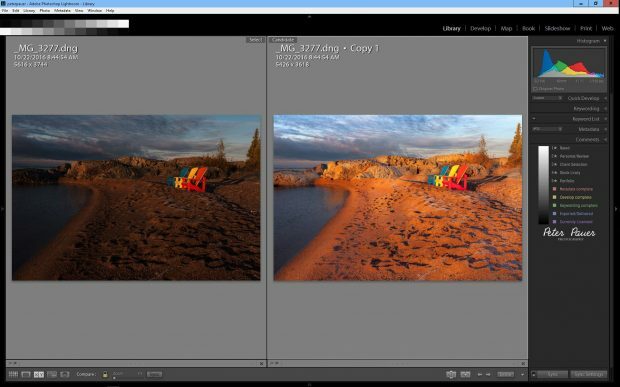 In all cases these images would normally have seen the big X of rejection in Lightroom. Here are the images and the “recipes” as Sleeklens calls them that I used to process the three images. Image 1 – The Over Exposed image. Original on left, Sleeklens processed on right. Image 2 The Under Exposed image. Image 3 The average exposure average image. Now for my thoughts on the Sleeklens workflow presets and using presets in general. The Sleeklens presets and brushes do seem to work well to help process images, or at least get you to a good starting point for heavier editing fairly quickly. In many cases I had to dial back the effects as they seemed to be a bit over the top. But that is probably common for development presets as every image is different and would need some custom adjustments tinkering. They did have an interesting stack able capability where you could apply as many of the presets as you wished and they did not affect each other. 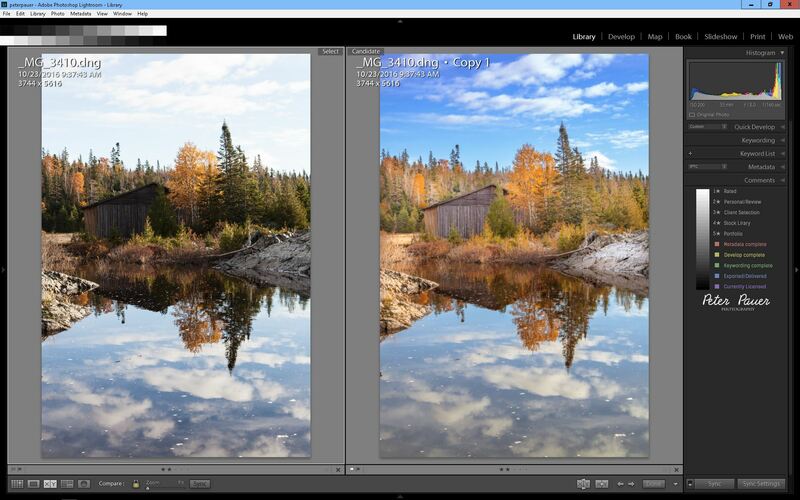 A preset or brush is just a Lightroom setting (or settings) you come up with that you then save with a name. Which you can then recall with a single click and apply it to other images as needed thus saving you some time. With purchased presets like the Sleeklens collections you are buying settings created by people skilled at editing and processing images. You are getting some of their expertise instead of trying to re-invent the wheel by creating your own preset sets. You still need to learn to use presets and brushes properly and take the time to apply them to each image, there is no magic auto fix! The “presets” I do use daily are smart collection workflow driven. They are based on moving images from import to distribution in a quick timely fashion with very little actual image development to try to recover a flawed image. The majority of my own under/over/mediocre images usually meet the rejection trashcan very quickly. With the “Through the Woods” landscape presets there is the option of trying a few presets to adjust or recover some of my images if so desired. Though even in Lightroom it now seems possible to repaint an images so it looks quite different from what was originally photographed. ← Our big camping adventure, in the soaking wet rain.